on Clean Growth and Climate Change, which committed Canada to meeting or exceeding the federal government’s 2030 target of a 30 per cent reduction below 2005 levels of greenhouse gas (GHG) emissions. The report outlines four key recommendations aimed at meeting Canada’s climate change targets while fueling the growth of Canada’s sustainable building industry. The recommendations are substantiated by research from WSP Group and Acton White Associates, commissioned to examine the carbon savings potential of existing buildings and net zero buildings, and also to analyze the required investment and economic benefits. Meet Canada’s climate change targets by investing in and providing incentives for energy efficiency improvements (such as recommissioning, deep retrofits, solar and renewable onsite energy systems, and switching of fuel systems) in existing buildings commercial, institutional and high-rise residential buildings over 25,000 sq.ft, to reach high-performance energy efficiency. The report finds that if such measures are taken by 2030, Canada will reduce GHG emissions by 19.4 million CO2e tonnes (or 44 per cent) from the 2005 baseline, with energy-related cost savings of $6.2 billion and direct and indirect GDP impacts of $32.5 billion. Strengthen building performance by advancing building energy benchmarking, reporting and disclosure initiatives – including expanding the ENERGY STAR Portfolio Manager Program. To date, over 13,000 buildings have used Portfolio Manager, but investment is needed to expand this service and support a wider range of buildings types. Invest in net zero buildings by supporting a National Net Zero Building Initiative to create a Canadian standard to guide the industry. The report finds that if all new buildings above 25,000 sq. ft. were built to be net zero carbon between now and 2030, GHG emissions for this sector would be 17 percent lower than those in 2005, equal to a 7.5 megatonnes GHG emissions reduction. Reduce the Government’s GHG Emissions by adopting advanced high-performance green building measures for federal building renovations, new construction and leased properties, and, where appropriate, net zero demonstration projects for new construction. Implementing carbon reduction activities for federally-owned buildings over 25,000 sq.ft, which account for three to five per cent of building sector emissions, will result in GHG emissions reductions of approximately 480,000 tonnes and cost savings of approximately $170 million annually. the Building Solutions to Climate Change report. Our good friends from West Coasts Developments have been working hard to provide a new look for Galaxy Motors in Duncan, BC. We worked with West Coasts Developments to provide Engineered Wood Products over the large sloped canopy roof and flat trusses in the rear part of the building. It will be fun to see the grand opening of this new facility, and we wish Galaxy Motors the very best! Engineered Walls & Trusses being delivered to site for House Calls Contracting for this new home in Mill Bay, BC. Our engineered walls were built in a climate controlled environment and delivered with a crane truck. This makes for an efficient build & a happy customer. Please contact us if you have any questions with our building & delivery process. Over the years, we have been fortunate to attract great people and it has proved to be one of our most valuable assets. 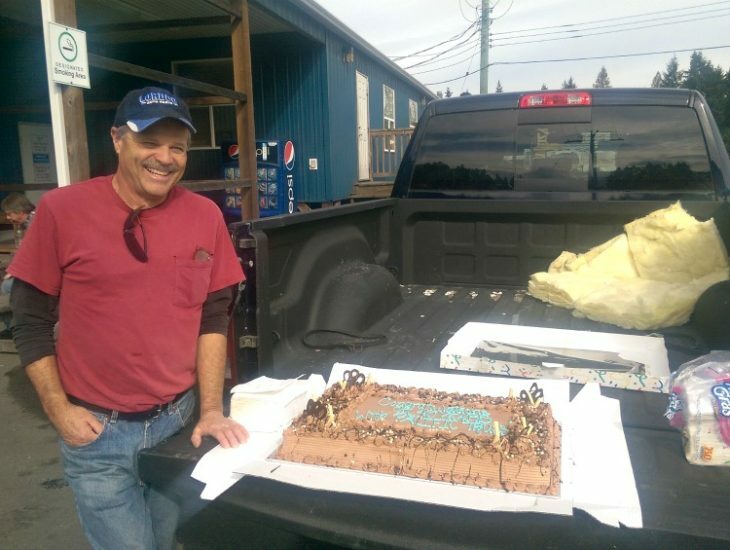 On October 6th, 2016 we took a break to recognize & celebrate Jeff Stewart on his 40 yr achievement with Pacific Homes & Truss. 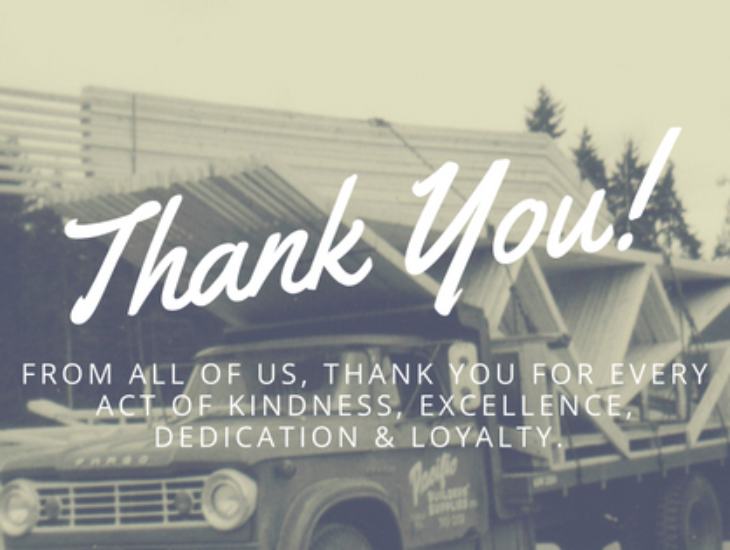 Innovation, family company culture, and great people have always guided Pacific Homes & Truss from strength to strength. In 1969 Pacific Builders’ Supplies started manufacturing roof trusses, and 7 years later Jeff Stewart was hired to be part of our team. He has experienced many technological advances during his 40 yr tenure with us and mentored many fellow employees along the way. What happend in 1976 when Jeff began working at Pacific Homes & Truss? The Apple Computer company was formed on the 1st of April 1976 by Steve Jobbs and Steve Wozniak. From all of us, thank you for every act of kindness, excellence, dedication & loyalty. We are so glad you’re part of our Team! The Oyster Bay Village is taking shape near Ladysmith harbour. This new neighborhood is set to be a vibrant community that equally embraces families, singles, and seniors with a place to live, work, and play. The vibrant 65-acre development will serve as an attractive residential, commercial, recreational and tourism hub for the region. Pacific Truss is proud to supply floors and trusses for this project. Our good friends from Tidman Construction have recently received their engineered floors & trusses. This beautiful new home in Cadboro Bay near Victoria, BC incorporated a parachord vault with vaulted dormers which blended into the main vault just perfectly. The views on this home are unbelievable! Wood is an abundant and renewable natural resource which is suitable for many types of building construction. Be it residential or non-residential, light frame or heavy timber frame, low rise or mid-rise, wood can be used in various building applications. This is because of the many benefits and positive attributes of wood. The Government of Canada supports the research and development of wood-based construction. Check out the following video from Natural Resources Canada to learn why Wood is a cost effective building material that is strong, durable, and resilient. New Barn at Lockwood Farms. A few mono trusses are being craned into place for S&B construction at Lockwood Poultry Barn in Cobble Hill, BC. Lockwood Farms started up in 2011. The property offers 5 1/2 vast, and beautiful acres of farmland that sits just off of Cobble Hill Road. They offer fresh produce grown using organic practices, garden starts, herbs, chicken, duck eggs, and poultry meat. If you are looking for some of the best produce in the Cowichan Valley stop by and see Lockwood Farms. You can connect with them 12 months of the year at the Duncan Farmers Market every Saturday. The St. Andrews Church addition is coming along nicely in Duncan, BC with the help from Garry Whitaker Construction. The new space will allow the church to expand into some much needed office space. What is a Passive House Exactly? Passive House is a high-performance based building standard that was developed in Europe. It focuses on reducing or eliminating the need for an active heating or cooling system to maintain a comfortable interior climate. This is achieved through an efficient design that utilizes passive heating and cooling techniques and an optimized building envelope that is airtight, super-insulated and fitted with energy efficient windows and a heat recovery ventilation system (HRV). Wood is an attractive material for Passive House because of how it combines thermal mass with a number of performance merits, including water resistance, structural integrity and finish quality. Wood is often the material of choice for prefabricated Passive House designed panels. Passive House certification is a rigorous quality assurance process that determines whether a building meets all of the requirements of the Passive House standard. More importantly, it confirms that the building has been designed to achieve high levels of occupant comfort and health and energy performance. Passive House explained in 90 seconds! Click here now to request a quote. Or, Click here to submit a question to our in-house Wizard.